It's easy to enjoy this TV console's on trend, industrial style. 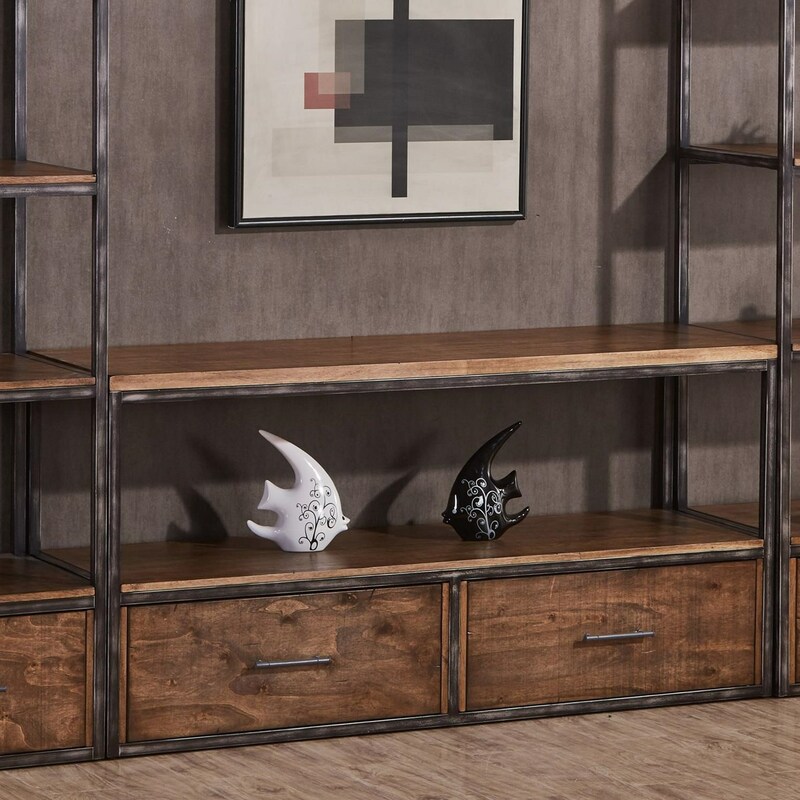 This piece blends hand distressed wood and metal into one cohesive, contemporary design, allowing it to suit living spaces across the style spectrum. With two lower drawers and two shelves, this console also provides concealed storage and open space for display. The Chandler Contemporary Industrial TV Console with Distressed Finish by Simmons Upholstery at Royal Furniture in the Memphis, Nashville, Jackson, Birmingham area. Product availability may vary. Contact us for the most current availability on this product.